The Irish love their Guinness and who can blame them, it’s delicious. 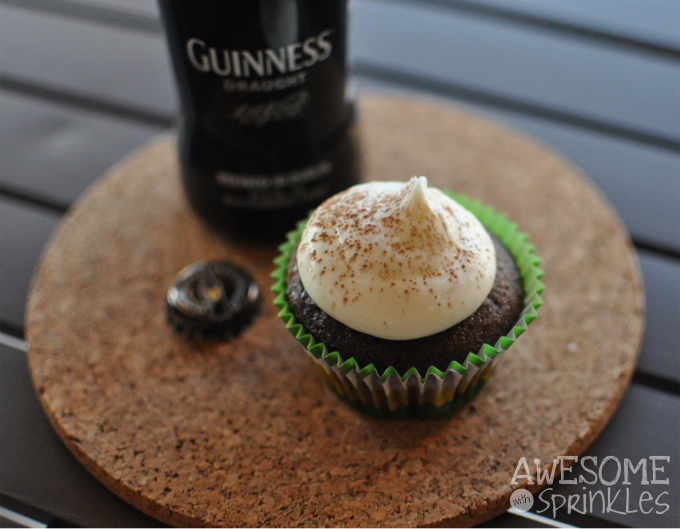 Guinness has a strong flavor and thick, creamy texture that is just perfect for baking! 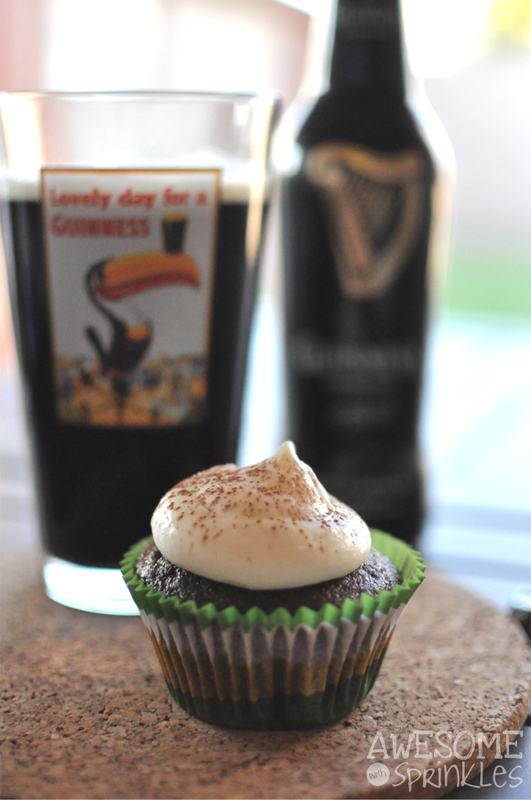 I’ve been wanting to try cooking something up with this hearty brew and with St. Paddy’s Day just around the corner I thought I would try one of the most popular recipes for this green loving holiday…Guinness Cupcakes. 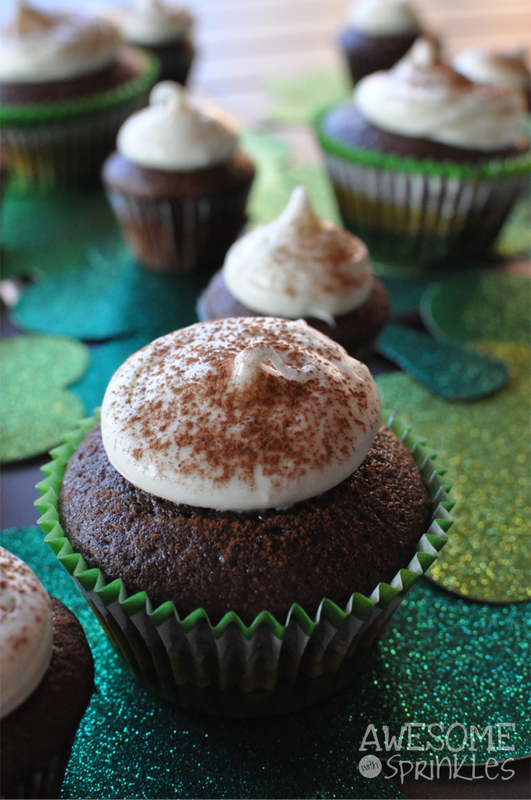 These cupcakes are rich and chocolatey and the Guinness flavor stays prominent. 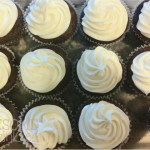 Topped with a “head” of cream cheese frosting these cupcakes look and taste like the celebrated stout. 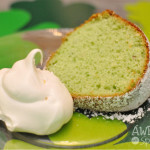 Pair with a pint of their namesake and you’ll be having a Happy St. Patrick’s Day in no time! Preheat oven to 350°F and line 24 cupcake/muffin tins with paper liners. In a large mixing bowl combine Guinness®, milk, vegetable oil, and vanilla. Beat in the eggs one at a time. Add the sour cream. 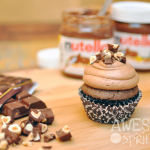 In a large mixing bowl, whisk together the cocoa, sugar, flour, and baking soda. Gradually mix the dry ingredients into the wet Guinness® mixture (batter will be thin). Fill cupcake liners ⅔ full. Bake 25 minutes until risen and set in the middle but still soft and tender. 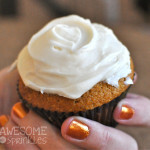 Cool for 5 mins and remove from tins and allow to cool completely before frosting. Beat the cream cheese in a bowl until light and fluffy. Add the cream. Slowly add in the confectioner's sugar. Not too sweet and the Guinness flavor is perfect! I’m not a dark beer fan but I may be turning over a new leaf! Thanks for sharing!! !